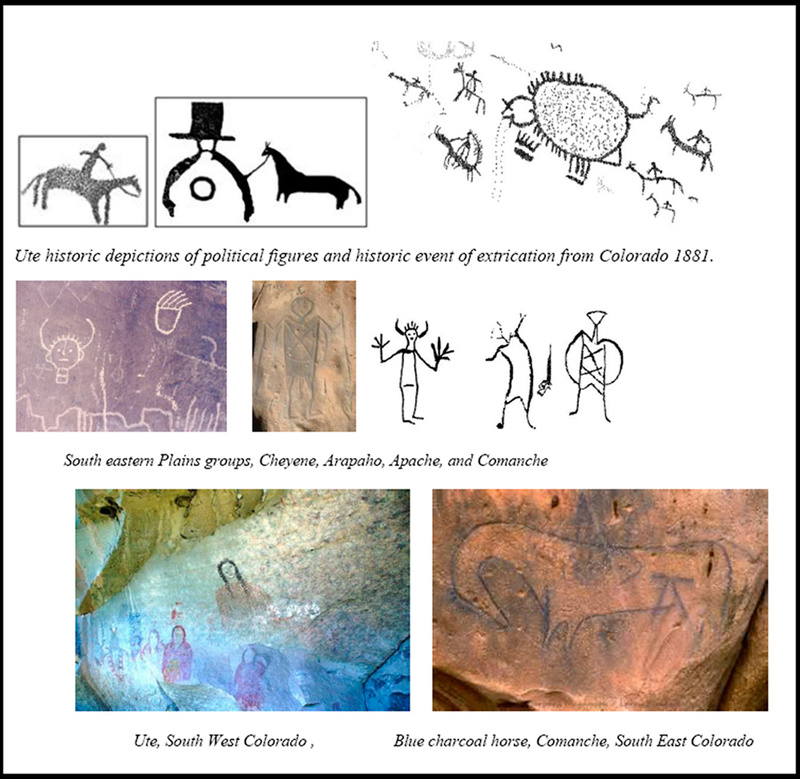 The Ute historic rock art typically has the horse, buffalo and bear paws. Large pedestrian shield figures may identify Paiute who didn’t ride horses. Plains tribes typically have the horned headdress, horses, and V-necked bodies. In the Southwest, the Utes painted domestic scenes of tribal life. Drawings and photographs by Carol Patterson. Image courtesy of Urraca Archaeological Services.